Michael T. Jordan, Esq. – Kauffman and Forman, P.A. Mike joined Kauffman & Forman’s estates and trusts department in 2011. Prior to joining Kauffman & Forman he practiced law for several years in the State of California where he also worked in the field of estate planning and estate and trust administration. Mike works with clients to develop a comprehensive individualized planning strategy, to carry out personal wishes of each client, including tax minimization and the establishment of Special Needs Trusts for the benefit of disabled family members when required. 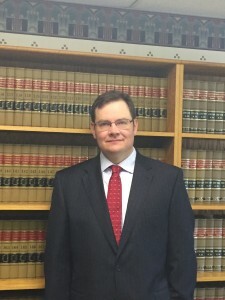 In addition, Mike advises Personal Representatives and Trustees on the administrative process and on the fiduciary responsibilities that taking on such roles entail, guiding such fiduciaries step by step through the entire administration process and representing them in court proceedings when necessary. Mike also engages in the practice of corporate law and in addition is available to represent Veterans with disability and pension claims, and is able to assist Veterans with the claims process required by the Department of Veteran’s Affairs. In the case of an improper denial of benefits Mike may represent a Veteran before the Board of Veterans’ Appeals.